Well over a third (37%) of parents in Northern Ireland say they are getting into debt to cover the expense of back-to-school costs. Parents of primary school children are, on average, in debt of £252 due to funding school costs. For secondary school parents, the average debt reported is £291. The findings were revealed in a Northern Ireland school-costs survey commissioned by the Irish League of Credit Unions (ILCU). 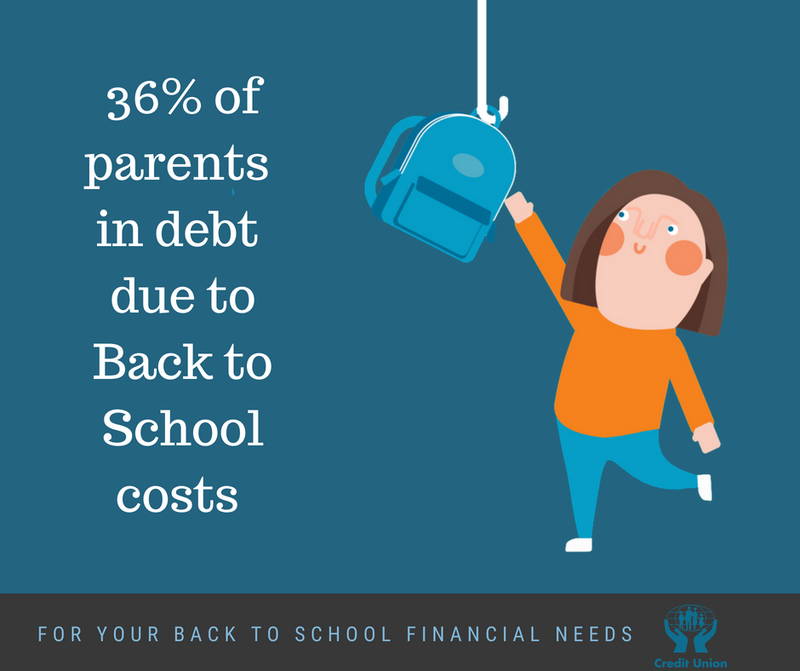 More than three quarters of parents (76%) in the national study say back-to-school costs are a financial burden. Half say that costs are their biggest back-to-school related worry, well ahead of concern that children won’t settle or make friends (13%). A substantial six in ten parents at primary school level and eight in ten parents at secondary school level reported feeling pressurised to buy branded goods and items for their children. 37% of parents say they will be forced to deny their children certain school items because they cannot afford them. Of this group, almost a third say they cannot afford new school shoes for their children, while four in ten say extracurricular activities will have to be cut from the budget. In general, well over a third of parents (37%) say they will have to sacrifice spending on family holidays to meet school costs. 20% say they will cut spending on household bills and 18% say spending on food will have to suffer. Parents are spending £754 per primary-school child. For secondary school-children, the cost per child stands at £1,160. The biggest spend for primary school children is on after-school care at £114 per child, followed by uniforms at £112 and school lunches at £102. For secondary-school, the most expensive item was school trips at £220, followed by uniforms at £168 and school lunches at £158. (See figure 1 below for more detail). Of concern is the finding that of those parents in debt, well over a third (38%) say they have turned to a doorstep lender/payday loan company in an effort to cope with back-to-school costs. Of this group, almost a quarter (24%) say they have borrowed between £400 and £500. When asked why their preferred option was a moneylender, almost half of this group (48%) said they felt they had no other option as they have a bad credit history. 29% felt they would be guaranteed the money, as they felt the approval process in banks and credit unions would be more difficult. Of concern also is the fact that just over three quarters of this group said they will use a moneylender again this year to cover the back-to-school spend. 62% of parents say that Northern Ireland schools are not doing enough to keep costs down. When asked how schools could do more to help parents, more than a quarter said the option of generic, cheaper or even free school uniforms. 16% said reducing the prices of books and stationary.